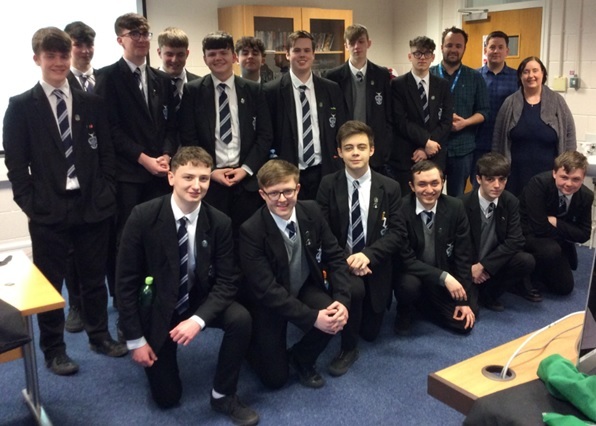 As part of the Inter schools Media Competition St Columb’s College pupils recently took part in a series of Masterclasses in the NWRC with teaching from industry professionals, Mr Kevin Ward and Mr Joe Kennedy. 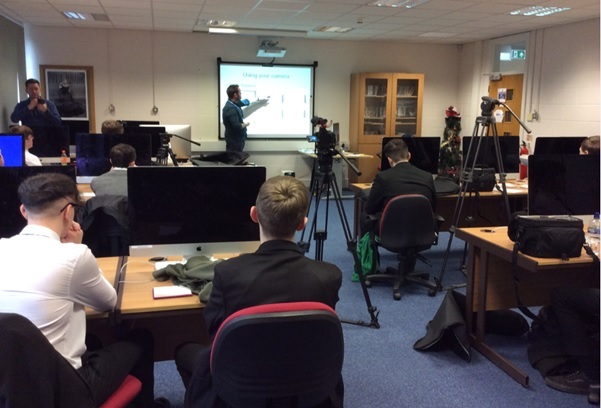 Kevin Ward’s business is called Digital Jackanory, offering Marketing, Media Production and Design services and Mentoring to SME’s. Joe Kennedy also runs Causeway Media Solutions. 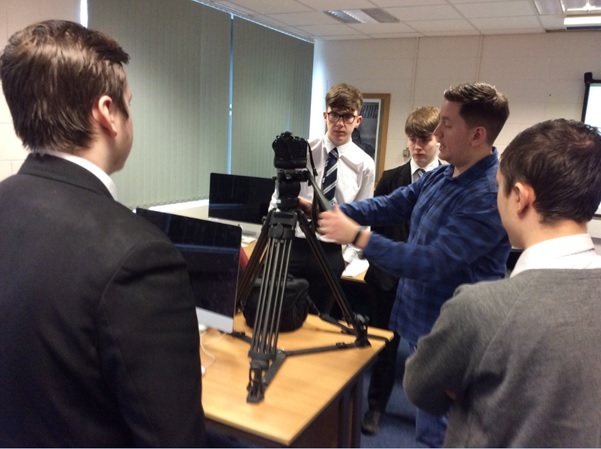 On Friday the 8th of February, pupils attended a Masterclass in Filming Techniques, whilst on Friday the 1st of March, the masterclasses focused upon Adobe Premier Pro Editing. 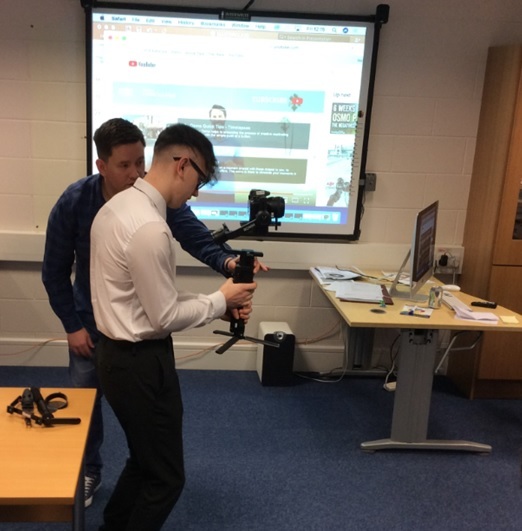 Many thanks to Suzanne Rodgers Curriculum Manager of Multimedia Journalism, who overseen the whole event, held at the NWRC. 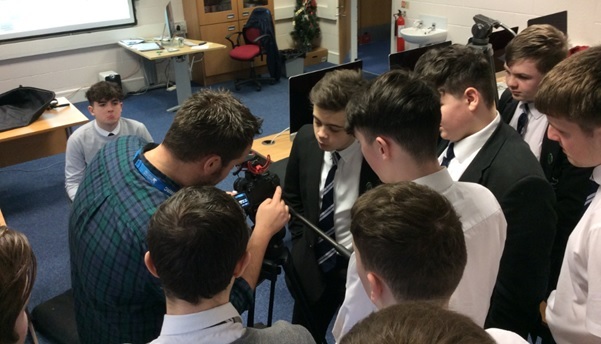 St Columb’s College pupils recently took part in the Inter School Media Competition. 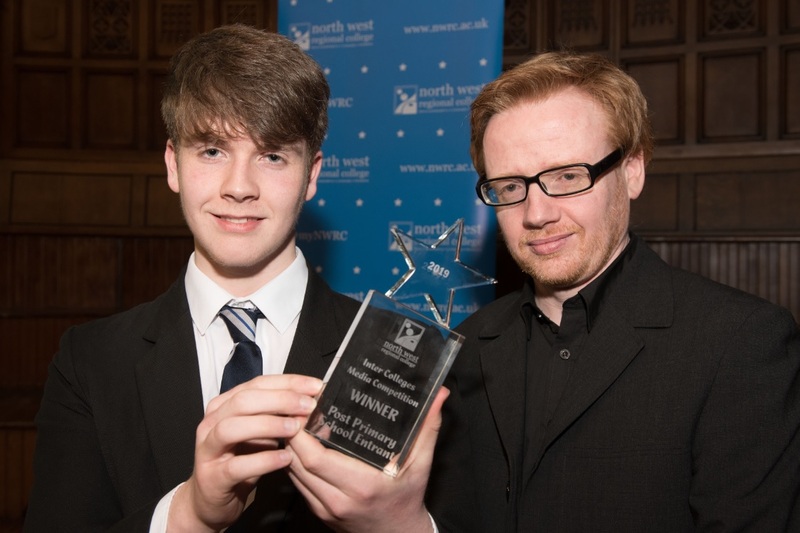 Awards were presented on the 27th of March 2019 at the Guildhall, Derry City. 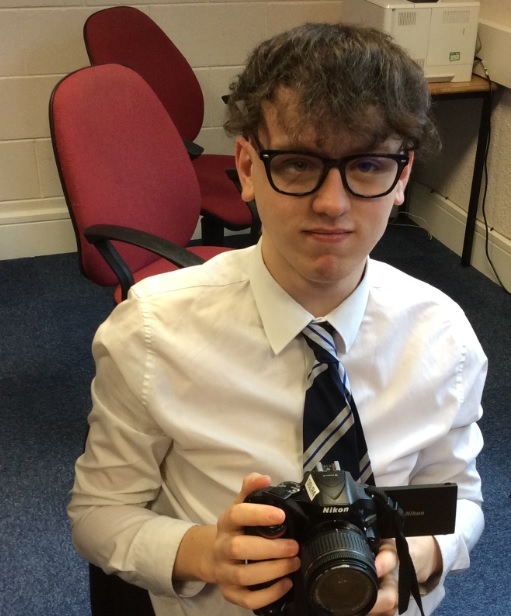 Congratulations to AS pupil Luke O'Grady, 13F who won first place out of NI in the Post Primary category, of the competition. He was awarded a trophy form Derry City Crystal and £150. Well done Luke! 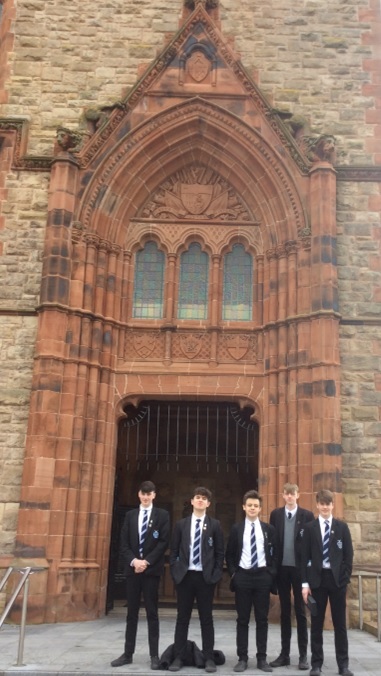 Lars Pedersen, Emmet Murray, Rory Toal and Rudi Cunningham, AS pupils, all got highly commended and received certificates. 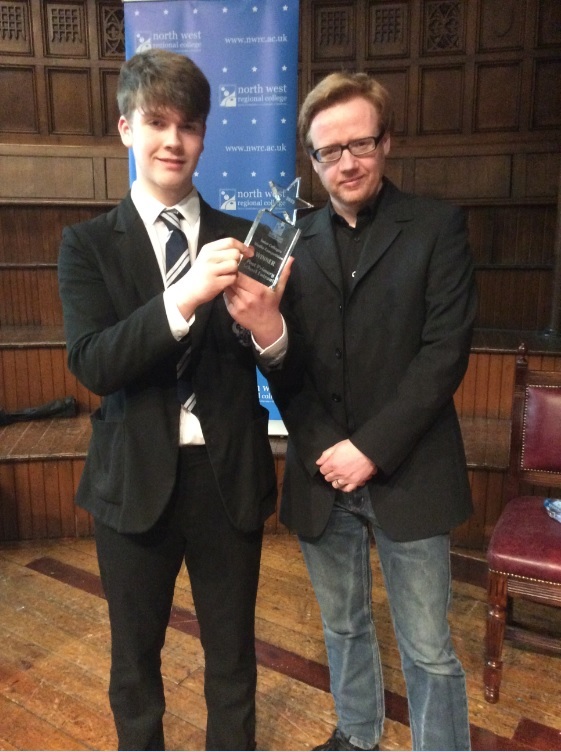 The awards for this category were presented by Mr Danny Laverty, Head of Departent STCI. The Mayor, Cllr John Boyle was in attendance and gave the opening speech. 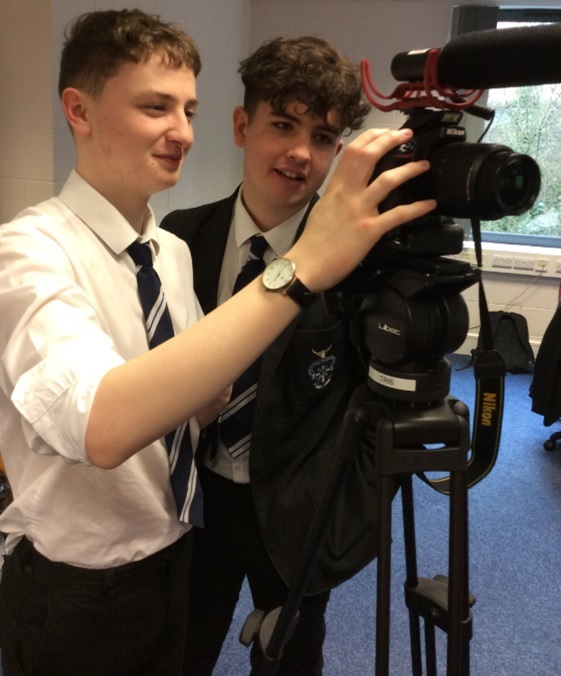 Additional categories for third level colleges included, Photography, Ad Production, Animation, Moving Image (Fiction) and Moving Image (Factual) and there was a presentation for Best Performing overall third level college, won by Belfast Met. The event was hosted by Stephen Mc Cauley. 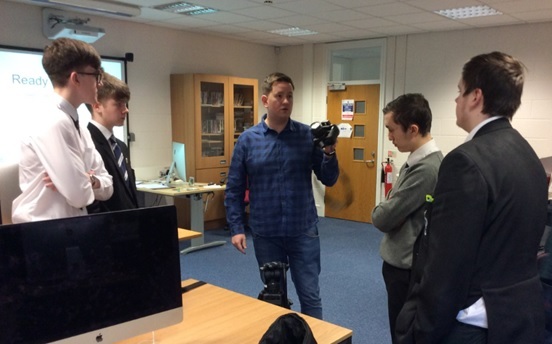 The whole event was overseen by Suzanne Rodgers Curriculum Manager of Multimedia Journalism at the NWRC. All pupils who are sitting examinations in May/June 2019 should familiarise themselves with the examination handbook. This is located on the school website at For Parents, Downloads and For Students, Exams or in the ‘About Us’ section under ‘information’ on the St Columb’s College App. 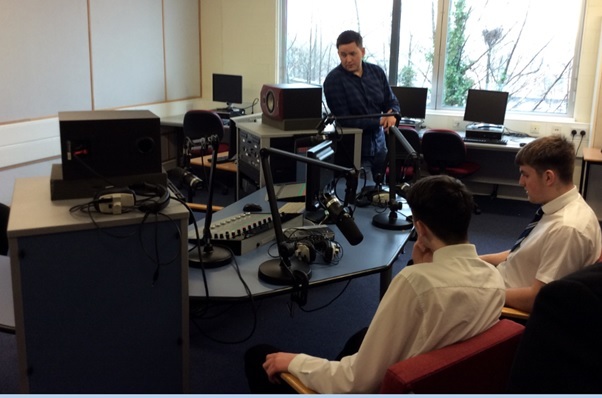 St Columb’s College is committed to ensuring that candidates are fully briefed on the examination and assessment process in place in the Examination Centre and are made aware of the required Joint Council for Qualifications (JCQ) awarding body instructions and information for candidates. Please read this booklet carefully and if you have any questions - or are still not sure about anything - then please come along to the Finance Office or to Chemistry 2 and ask Mr. J Broderick or Mrs A O’Kane – we are here to help you. 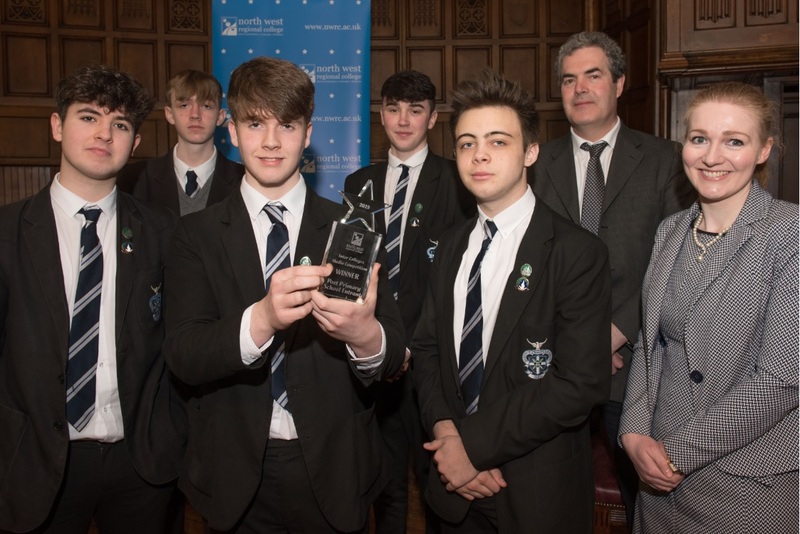 On Wednesday - 13th February 2019 – the members of last year’s Student Representative Council attended a Leadership Award Ceremony where they were formally congratulated for their year’s service by Special Guest, current Mayor of Derry and Strabane District Council, Councillor John Boyle after he learned of their many accomplishments. Councillor Boyle rewarded each Student Council member with a Leadership Award in recognition of their achievements. 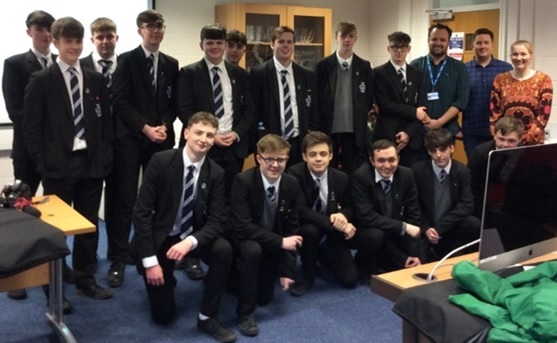 He was clearly most impressed by the work and progress of the Student Council, commenting on the sharp young minds in attendance, admitting the boys made a real impression on him, feeling he may have met some future politicians on his visit to the school. St Columb's College, Buncrana Road, Derry.